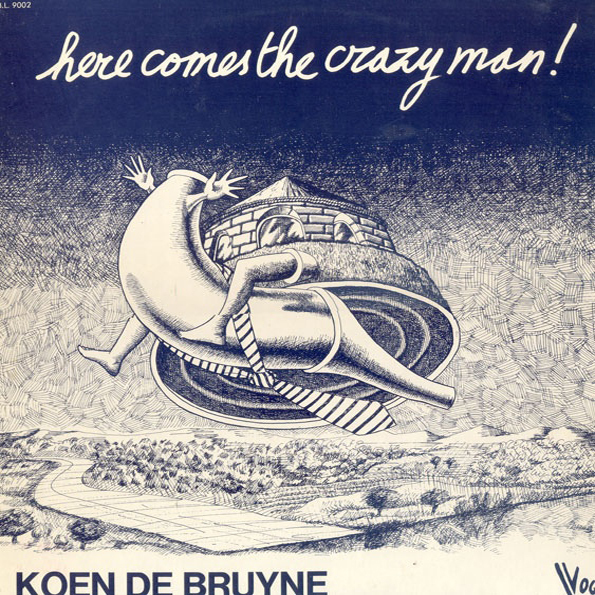 "Belgian composer, arranger, pianist and keyboardist Koen De Bruyne (1946 - 1977), brother of celebrated singer and songwriter Kris De Bruyne, had his own, unfortunately short, stint in the field of pop, jazz, fusion and funk in the 1970ies. He rose to the scene as a wanted session and live musician for local heroes such as Johan Verminnen, Will Tura, Ferre Grignard, Mad Unity, Black Blood and his brother Kris. In 1974, after some years in the trade, Koen De Bruyne debuted as a solo artist. The inspired fusion epic ‘Here Comes The Crazy Man!’ undeniably proves he was much more than a gifted ‘hired gun’. He gathered a fabulous line-up for the recording sessions, featuring three members of the legendary Placebo (Marc Moulin’s jazz/funk outfit). Recorded in the renowned Brussels Madeleine studios with some of the most prolific and inventive of his contemporaries, HCTCM! is a truly exceptional and imaginative record and has gained the status of sought after cult classic decades after its release. The exact 1974 line-up consisted out of the three Placebo members mentioned before, Richard Rousselet on trumpet, Yvan De Souter on bass and Jean Pierre Onraedt on drums. De Bruyne also invited trumpeter Gerard Sabbe, vocalist Patricia Maessen, flutist Adelson Defrise and Firmin Timmermans on bongos. Built around De Bruyne’s omnipresent piano and synth themes, the four lengthy tracks on HCTCM! float anywhere between heavy funk and psychedelic jazz rock, with some strong fusion interactions. Flavoured by its distinctive double trumpet lines, De Souter’s exceptional bass playing and Patricia Maessens ethereal vocals, it only takes one close listen to sense this album is something exceptional. We’re witnessing an entire band of musicians performing at the top of their game. Psychedelic, vigorous and at times quite experimental, Koen De Bruyne’s only real album to have seen the daylight is a rare Belgian gem, one that stands the test of time and is waiting to be rediscovered by new generations of listeners. Apart from the four tracks on the original HCTCM! album, making their debut on cd, this reissue features a lot of unreleased music. ‘Games’ is a mysterious unreleased triptych that was recorded after the album, the masters we stumbled upon had to be retrieved from a reel to reel tape falling apart. Also included here are 4 majestic solo piano improvisations that were retrieved from another lost studio tape."